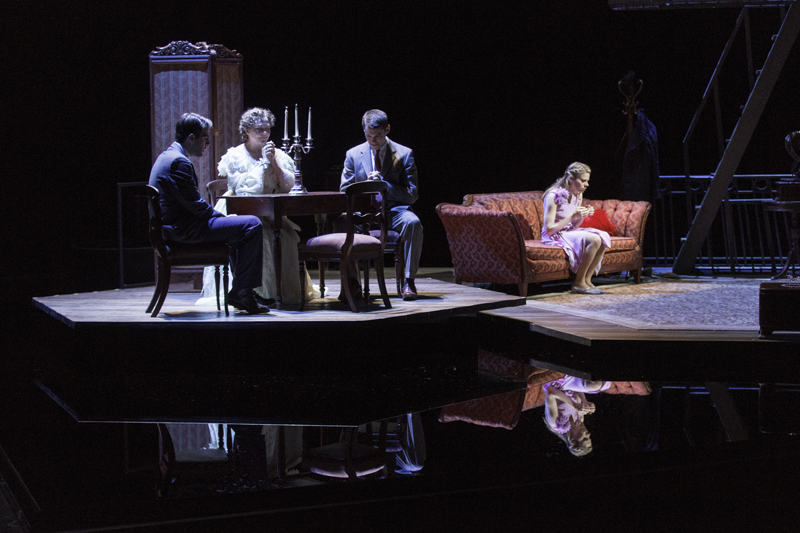 CAMBRIDGE — It took 32 years for Tennessee Williams to find his way into the canon of the American Repertory Theatre. In this case, it was worth the wait. 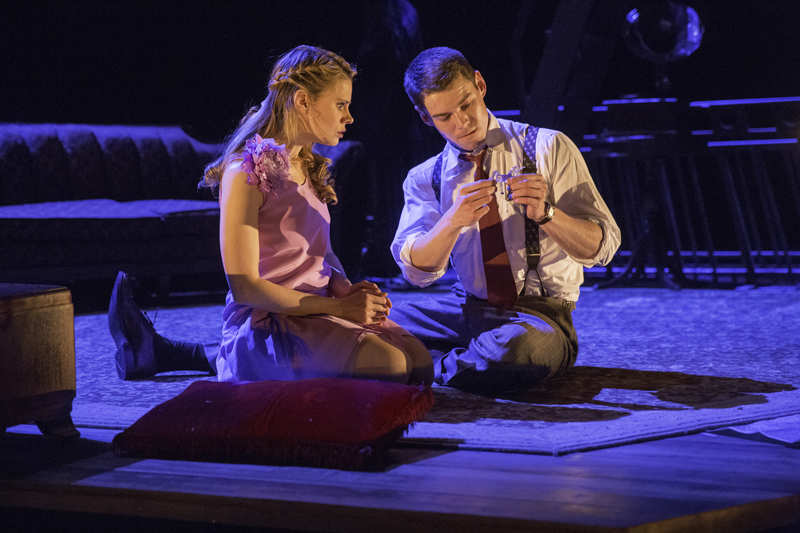 Once ART finally decided to do Williams and it embraced his classic “The Glass Menagerie,” they did it up right, with a superb cast and an all-star team of designers, with the production headed by Tony Award-winning director John Tiffany (“Once”). Williams has always had his place, of course, along with Miller and O’Neill in the pantheon of great American playwrights and “Menagerie” is his most personal and autobiographical work, with mother Amanda Wingfield modeled after Williams’ own mother Edwina, and the damaged sister Laura after Williams’ similarly troubled sister Rose. His portrait still hangs in the home, reminding Amanda of the man she loved who once swept her off her feat and finally left her crushed and defeated. Zach Quinto takes command of the play immediately as Tom Wingfield, and he is our eyes and our guide into what he calls “a memory play” — his memories — and as such the stage will be dimly lit, suggesting faded memories that may no longer reflect reality. Quinto’s Tom simmers with the intensity and restlessness of a man on the edge. He and Laura (Celia Keenan-Bolger) are each other’s anchors to reality, as Laura clings to the tiny glass animals and the records, and Tom finds in his defenseless sister a reason to stay in a dead-end warehouse job that allows him to support his sister against the domineering Amanda. He finds his refuge at “the movies,” a euphemism for any cheap watering hole he can find. Cherry Jones is luminous as Amanda, the faded Southern belle who once entertained 17 gentlemen callers, simply by “mastering the art of conversation.” She has invested her hopes and dreams for the future in Laura, believing she can transfer enough of her charms to her daughter to secure a future for her. Keenan-Bolger portrays Laura with a precise, halting, but not-too-pronounced limp, and later we can believe that a woman who had never danced in her life is able to enjoy a waltz with the Gentleman Caller (Brian J. Smith). Laura’s short fling in a business school was a dismal failure, and she has retreated to her own world, until the day Tom brings the Gentleman Caller home. Smith oozes charm and bonhomie as the young man who was a high school crush of the painfully shy Laura. The scenes between Keenan-Bolger and Smith are lovely but heartbreaking. You feel pity as Amanda struggles to make her home inviting for the man who may provide Laura’s one and only chance for happiness, and her pride at the gown she has excavated for the occasion, a treasured souvenir from her younger days in Mississippi. Butter melts her in her mouth as she exhorts Laura’s charms to the Gentleman Caller. But just as it seems Laura and the Gentleman Caller are connecting, he pulls back. “I wish you were my sister,” he tells her at one point, the words a dagger through her breast. Then comes an embarrassing revelation and Amanda’s last, best hope is dashed. Things will never be right again and, soon, the abandonment of the family will be complete. Nico Muhly’s original music wafts lovingly in and out throughout the piece. Natasha Katz’s lighting allows us full entrée into the ethereal atmosphere of the Wingfield home. Bob Crowley’s set features a fire escape — the only entrance into the tenement — that climbs to the sky, suggesting an area of the tenement that offers an escape from the reality inside. Director Tiffany straddles Williams’ stage instructions and his own view of the piece, which he described in a recent interview in the Boston Globe.